Trade Show Booth - Exhibit Co.: MC2 20’ x 80’ modular trade show design concept. Project management included: Structure design, visual merchandising, budget management and vendor negotiations. 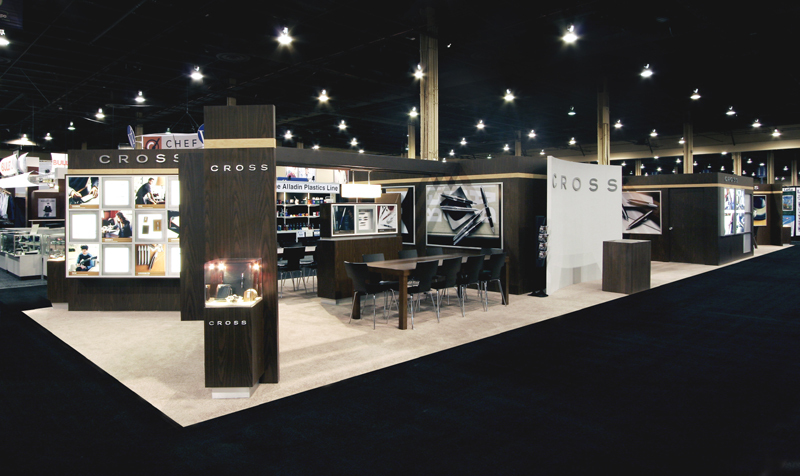 20’ x 80’ modular trade show design concept. Project management included: Structure design, visual merchandising, budget management and vendor negotiations. Fixture fabrication and finishes were targeted for new brand concept. This lay out accommodates 7 meeting areas and 2 featured product areas.